The 2019 Liberty County Martin Luther King, Jr. Observance Celebration was held last weekend with several services throughout the community. The Commemorative Service was held last Sunday, January 13, 2019 First Zion Missionary Baptist Church in Riceboro, Ga. The keynote speaker was Rev. Dr. Kenneth B. Martin. Rev. Dr. Alvin L. Jackson is President and Host Pastor was Bishop Frederick McIver. During the Commemorative Service the Liberty County MLK, Jr. 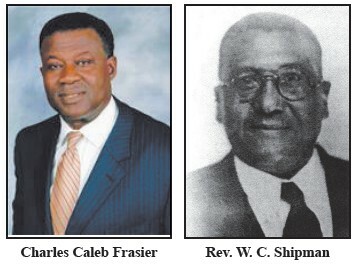 Observance Association honored the life and legacy of Mr. Charles Caleb Frasier. He was the first African American jury foreman of record in Liberty County, He was the first black person to own property in downtown Hinesville. Frasier was the first African American member and later chair of the Hinesville Planning and Zoning Board. He was the first black man to be elected to the Hinesville City Council. A highlight of his 28 years of service on the Council was being chosen by his peers as Mayor Pro Tem for the final l8 years of his tenure. Patricia Burley Jackson, the first African American to graduate from Bradwell Institute served as Grand Marshal of the 2019 Liberty County MLK Parade. Rev. W. C. Shipman was awarded the Trailblazer Award (Posthumousley) He is recognized as the first card carrying member of the NAACP in Liberty County. Moving from Bryan County to Liberty County after the US Government purchased the land to build Camp Stewart (later Ft. Stewart) he was already a recognized as a community leader. This visionary Baptist preacher became the first president of the Liberty County Citizen’s Council in approximately 1946. This is a synopsis from an article in the family’s possession printed by The Savannah Tribune. Also recognized during the service were Ms. Mikia Frazier, who received the MLK Youth Award and Pastor Richard D. Hayes received the Community Service Award.